The Brooklyn District Attorney’s office has launched an investigation into a colony of adorable bunnies living behind a tire shop in Gowanus, which does not exactly seem like an ideal habitat for pets. 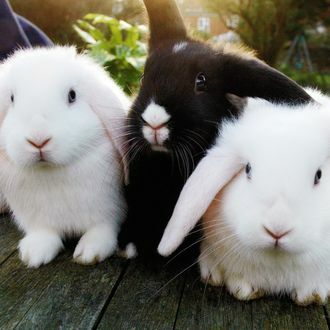 DNAinfo reports that after a handful of 311 calls, the DA is investigating the Gowanus Rabbit Colony, owned and operated by bunny lover Dorota Trec, who “keeps the rabbits to bring joy to the community.” Unfortunately, she also breeds them, and with the freezing weather and lack of adequate nutrition, some animal-welfare advocates are worried that the rabbits will multiply at breakneck speed, making it too difficult to appropriately care for all of them. Several local animal organizations have already stepped forward to offer free spaying and neutering, as well as a search for permanent homes for the rabbits. The real story here is that one of the lawyers lobbying for the city to investigate the rabbit colony has “three rabbits who come when called and use litter boxes.” Isn’t that something.